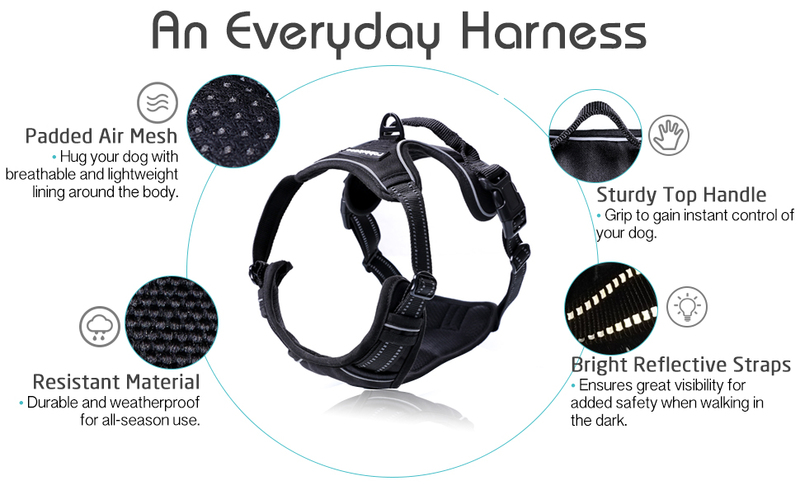 Rabbitgoo No Pull Adjustable Dog Harness - Designed for Your Dog, and You. Many dogs tend to pull a lot when they are excited to feel the nature or to meet the new furry friends. Our harness features NO-PULL DESIGN so that you can have a better control of your dog by attaching the leash to the FRONT CLIP. 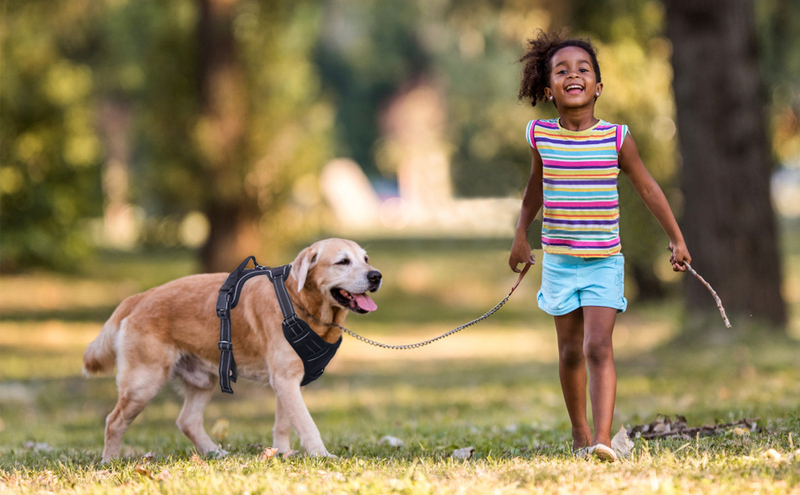 Every time your dog pulls, he/she got turned around instead of continuing forward and pulling on the leash. Soon your dog will learn not to pull. The soft and breathable padding will give your dog a snug fit around the whole body, so your dog will feel secured and comfortable while wearing it, making the walk even more enjoyable. Note: Please measure your dog carefully before selecting the size. Refer to the 7th image for the detailed size chart. Let us know if you need assistance in finding the right size. Great harness. Very well made, like the reflective strips and although I have not tried it on myself it looks to be very comfortable on our 3 labs. I have purchased 3 for our dogs and 2 for my sons dogs. Sizing was spot on. I would recommend this for sure. Product is great! Delivery fast! Even got a message by the seller on how to use the product. Will this work for a cat? Does this have an attachment for a leash on the back too? What kind of material, sturdy enough? I'd like to use this to run my dog with my bicycle. My dog Bely loves this vest. He likes to go for long walks in it and thinks it is quite comfortable. He loves the bright orange trim and the little reflective tabs too! It buckles nice and snug and makes him feel safe while walking on his leash. It is easy for him to get in and out of with help from his people. Bely give this vest a 5 claws up! My 45lb Min Pin measured 27" in the chest & 20" in the neck. I ordered him a Large & it fits perfectly. I think Orange is his color!